Good to see you made it to Chapter 4 of the breakfast guide. Hope you’re enjoying it as much as we are. Cheers to another healthy and tasty day ahead! These recipes are easy to make and time-saving and also reduce your stress. Now you don’t really have to worry so much for your health, thanks to this guide, which ensures your everyday nutrition. This is the best way to eat dessert for breakfast (yes, you’re most welcome). This smoothie even looks Insta-pretty when prepared. 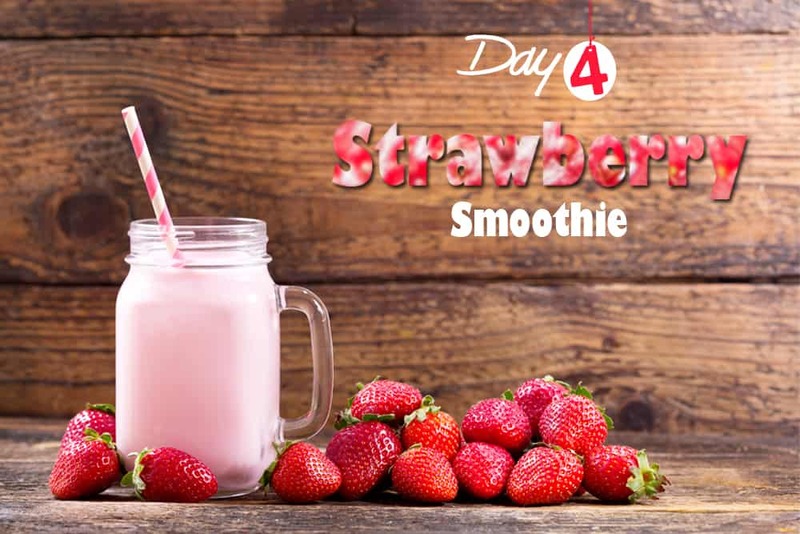 With the goodness of Omega-3 in flaxseed powder, high-quality protein in protein powder, chromium and vitamin B in Brewer’s yeast, and sugar and vitamin C in strawberries and orange, this strawberry smoothie for weight loss is the ultimate breakfast with healthy nutrients for you. And as you already know, all you got to do is repeat with us: Mix, Freeze, Blend, and Drink! 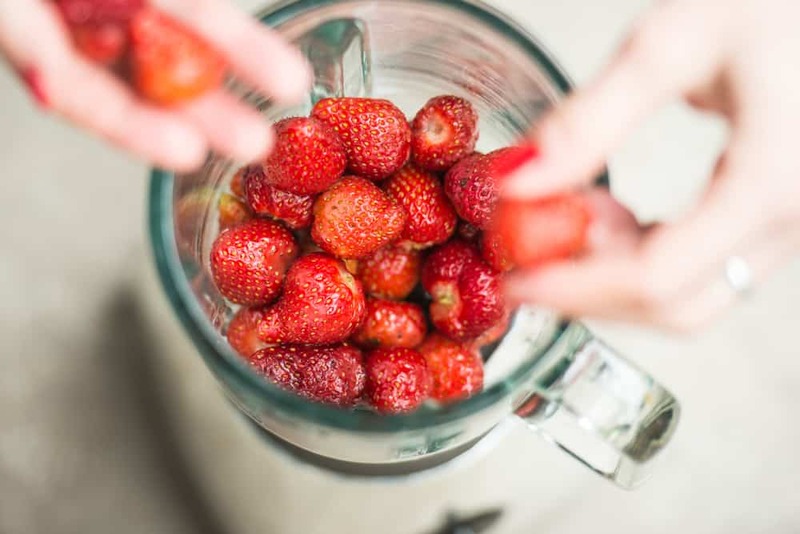 Chop 1½ cups of frozen strawberries into pieces before adding them to the blender. Pour 1 cup of orange juice into the blender. Add 1 tablespoon of protein powder. Mix 1 tablespoon each of flaxseed powder and brewer’s yeast. Close the lid of the blender and blend together the ingredients until they are creamy and smooth. Your easy to make breakfast strawberry smoothie is ready to be served! 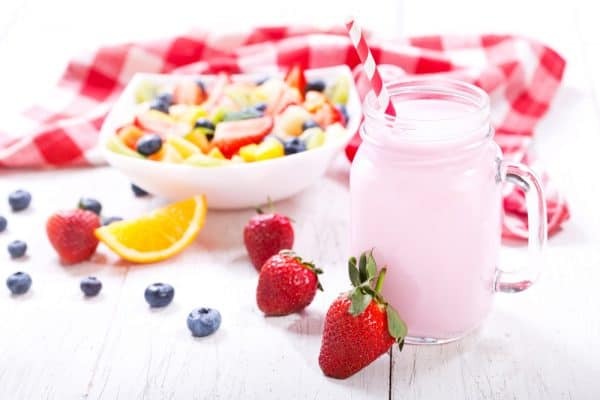 Your breakfast strawberry smoothie for weight loss is now ready to be served! How is the Strawberry Smoothie good for your health? Boosts immunity: The orange juice contains ascorbic acid, one of the components in collagen that repairs cells and is responsible for the growth of fresh tissues. Vitamin C in strawberries also boosts immunity. Vitamin B9 in orange juice is crucial for the growth of new cells and the creation of DNA. Aids weight loss: Anti-inflammatory foods such as strawberries help restore normal function to weight-reducing hormones. Good for the heart: Strawberries control cholesterol, and antioxidants lower blood pressure. Fiber also helps in controlling type 3 diabetes. 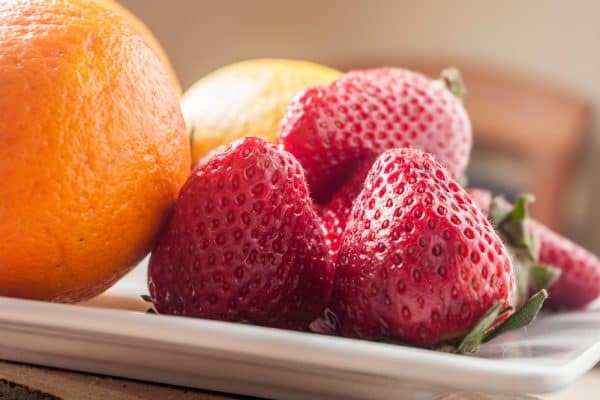 Prevents cancer: Vitamin C in oranges and strawberries serves as an antioxidant. Detoxifies the body: Oranges support normal kidney functioning. 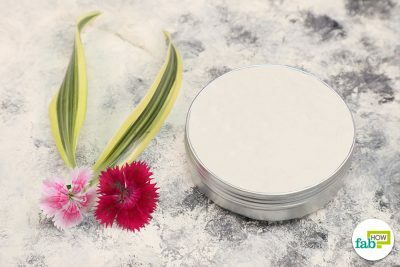 Protects the eyes: Vitamin A enhances vision and prevents the eyes from getting dry and exhausted. Vitamin C in strawberries also strengthens the eye's cornea and retina. While you’re using strawberries that are fresh, make sure you wash them and remove the crown (leafy stem at the top) before you add them. You may use whole milk to give smoothies extra creamy flavor. Store fresh-ground flaxseeds in a refrigerator or freezer. To make smoothies sweeter, you may even add honey/maple syrup/sugar. In case you’re a fan of chocolates, you may even use chocolate syrup as an add-on. Learn here how to make a creamy strawberry kiwi dessert. Smoothie tastes best when it’s chilled. Add chunks of ice after the smoothie is prepared. In case you are lagging behind on your weekly smoothie regime, quickly have a recap for 'Day 1 banana-almond and Day 2 detox smoothie' here. If you’re using frozen strawberries, reduce the added ice to ½ cup as the frozen strawberries will already make the smoothie chilled. Smoothies last a day while refrigerated but it is best to prepare it afresh every day. For best digestion, enjoy the smoothie on an empty stomach.